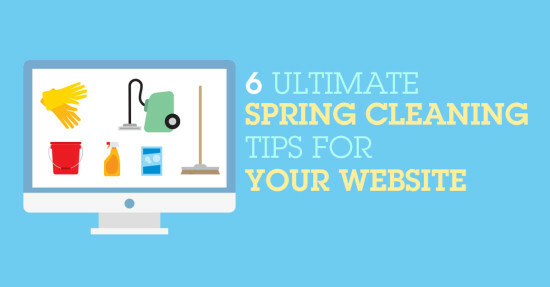 Spring is approaching (March 20, 2015 to be exact), and it’s the perfect time to start thinking about spring-cleaning for your website. Even though you might not feel as if there’s any new information to showcase on your website, it doesn’t hurt to go down the list and see what kind of improvements you can make to have better conversions. 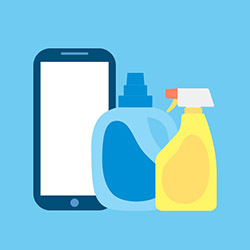 So roll up your sleeves, get your gloves on and utilize our spring cleaning tips and to-do list to help you get started! Make sure the copyright year is updated on the footer of the website. If you have a blog or news section, it should be updated on a consistent basis. Even if you can’t allow yourself the time to write weekly, it can be monthly! As long as there is consistent content, it will show your customers that you pay attention to your website. The information on the contact page or section should be correct. If there was a change in e-mail, phone number or address, make sure it is properly displayed on the website. A lot of times, if the information is not up to date, your customers won’t be able to reach out to you. You could be losing a good sale or lead! Another crucial tip, if your website has a contact form, it is absolutely critical that the form is fully functional. There are websites with forms that do not work – whether it doesn’t allow you to type in the fields or click on submit, this can create loss of leads or conversions for your business. Click through all the links on your website to ensure that all links are working properly. Some links will suddenly lead to a 404 error page, not a great experience for the user. Add new images if you have a gallery or projects page. Showcasing your most recent work allows your customers to see what your business has achieved. Freshen up the “call to action” buttons. Make sure it’s visible on your website and will draw attention to your clients. According to Google statistics, your customers’ attention span is only 1.7 seconds, so be sure to have it noticeable on the home page. If it’s an E-commerce website, you can have a “Shop” or “Buy Now” button. If it’s an informational website and you want to convert leads, you can have a button that says “Contact us today” or “Get A Quote”. These are just a few tips and tricks to freshen up your website. 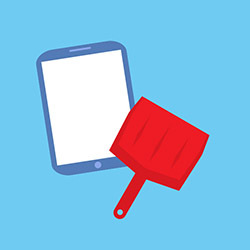 Technology is always evolving and changing; you want to keep up with everything and make sure your customers can find what they’re looking for. All it takes is one mistake to turn them away. You don’t want your website to be neglected, as it is a way for new customers to find your company! Making it alive and interactive with a call to action is the best way to impress your readers.